Lesser Slave Lake is a majestic beauty in the heart of Alberta's North. The area is teeming with wildlife, beaches, campgrounds and some of the best fishing in North America. Slave Lake is also situated in the heart of oil & gas country, making it part of Alberta's booming economy. 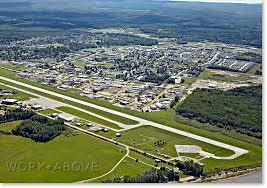 Slave Lake offers its inhabitants all of the amenities and services they could ask for. There are multiple stores, restaurants and electric night life. There is fishing, hunting, boating, canoeing, kayaking, golf and much more for adventure lovers. For those seeking solitude, miles of peaceful beach caress your feet as the migrating birds sing to you during a romantic and peaceful sunset. The possibilities are endless. Slave Lake is growing, and it welcomes all who want to share in its growth. New immaculate housing complexes are being built to accommodate Slave Lake's increased expansion. Slave Lake welcomed Wal-Mart, Canadian Tire, Sobeys and Tim Horton's to its new business sector on Highway 2. As of 2008 Staples and Shoppers Drug Mart were added to the store lineup and work is currently being done to build a new, larger municipal library and town office to support our rapidly growing community. For more information on Slave Lake and what it has to offer, please visit the town web site at www.slavelakeregion.ca. For local news and current events, please visit slavelakepost.com.